Over The Edge Travel is an American-owned, boutique tour operator focused on offering high quality & personalized tours in exotic destinations. Owner and tour operator Eli Kretzmann customizes each tour to fit you and your small group specifically. To ensure your satisfaction, most private and small group tours are personally hosted by Eli. Eli has been working in the tourism industry for over 10 years and brings his exacting standards for quality and customer satisfaction to every destination he offers. Cumulatively, nearly 5 of the last 10 years has been spent living and traveling in Asia where Eli has cultivated a deep love and respect for the peoples and regions. 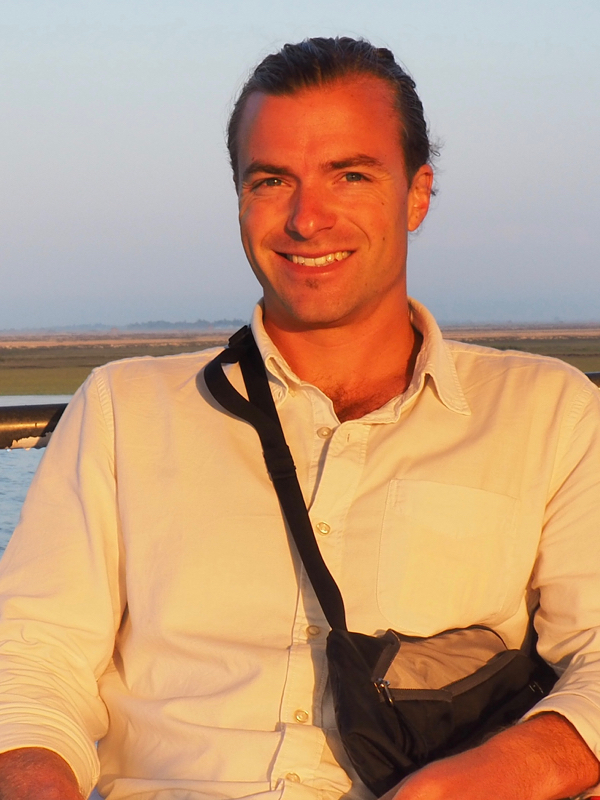 Eli personally explores all extraordinary destinations on offer, and works closely with local guides, staff, hoteliers, etc. to ensure only the highest quality service. Eli personally leads most tours as cultural liaison to ensure the satisfaction, safety, and comfort of his guests. • To create unique and exciting private & small group tours catered specifically to you! • To provide an all-inclusive and hassle-free experience. • To cater to your interests and traveling comfort needs. • To facilitate culturally engaging, off-the-beaten-path encounters. • To offer rewarding opportunities to give back to the communities we travel in. From trekking in the mighty Himalaya, to cultural city cycle tours of Kathmandu, to incredible motorcycle tours of Nepal, Eli will create an itinerary that fits you! On the ground, Eli works with some of the finest people in Nepal to ensure that you are well taken care of. This is your one-stop connection for fine Nepal tours. A: Yes. For Nepal tours, visas can be easily obtained upon arrival, or in advance from the Nepal Embassy in your home country (~$25/15 days; $45/30 days). For India, visa must be arranged prior to arrival. However, there is an e-visa option available that can be applied for before you travel to India. I can send you a helpful checklist to follow when applying for a visa. A: I will send you a suggested packing list when you book. What to bring depends on what kind of tour you are doing. A: Nepal is an incredibly welcoming and hospitable country. I trust you will find Nepali people to be some of the kindest anywhere. After the April 2015 earthquake, most things tourism infrastructure related have been repaired. The country is open and ready for tourism. Q: Do I need to worry about Altitude Sickness? A: As I offer custom tours, each tour is built around you. That means I take each traveler’s health, fitness, and acclimatization into account as we move at your pace. As a rule, I typically ascend slower than most other tour operators, as my guests’ health and wellbeing is of highest importance to me. When venturing into the Himalaya, my experienced guides and I continually monitor your health to ensure your wellbeing. At the slightest signs of altitude sickness, we stop ascending until full health has restored. Q: How do I know which tour is right for me? A: I will work with you to craft the perfect tour for you or your small group. Please feel free to connect with me to start discussing the possibilities! Q: Do I need a motorcycle license? A: Yes. You will need a valid motorcycle license, and a valid international driver’s license to drive legally drive a motorcycle on an Over The Edge Travel tour. Q: Do I need prior motorcycle riding experience? A: Yes! Nepal or India are not the places to learn to ride. Due to rough roads and seemingly chaotic traffic, I highly recommend only experienced and confident motorcyclists pursue riding in Nepal or India. Q: Do you provide helmets and gear? A: There is a decided lack of quality riding gear in Nepal. While helmets can be acquired locally, it’s best to bring your own quality helmet and gear from home.